India was once known as the mine of wisdom and the fountainhead of justice and was also credited with excellent intellect, exalted ideas, universal maxims, rare inventions and wonderful talents. But modern India is marked by various contradictions. Despite its impressive growth, the country now has the largest number of illiterates, most of the undernourished children and anaemic mothers. Millions are jobless both in the countryside as well as in towns and cities. The tryst with destiny, promised seven decades ago, still remains elusive. The saddest paradox is that while the country boasts the world’s second largest pool of trained scientists and engineers, around 52 per cent of the primary schools have only one teacher for two classes. The country produces the most sophisticated software for US computer manufacturers, but has the largest number of school dropouts in the world and nearly half the population is illiterate. To these problems can be added hunger and diseases. The dichotomy is the striking feature. An estimated 25 per cent of our population is economically advanced with access to the latest technology, while the rest wallows in inhuman conditions. The grim reality must make one wonder whether this is 21st century AD or 21st century BC. The India that is perceived as a global economy is a young India with more than 62 per cent of its population in the 15-59 working age group, and more than 54 per cent below 25. While the global population is ageing rapidly, India is the world’s youngest country. The young are in a position to effect changes and can serve as the engine of growth. According to a World Bank report, India’s working age population will continue to grow at least till 2040, and this can propel the country from a ‘developing’ to a ‘developed nation.’ For all that, the country lacks trained manpower. Meeting the aspirations of the youth, coupled with economic growth, is central to the development agenda. The formidable challenge is to equip youth with employable skills and to ensure there is no mismatch between demand for jobs and supply. 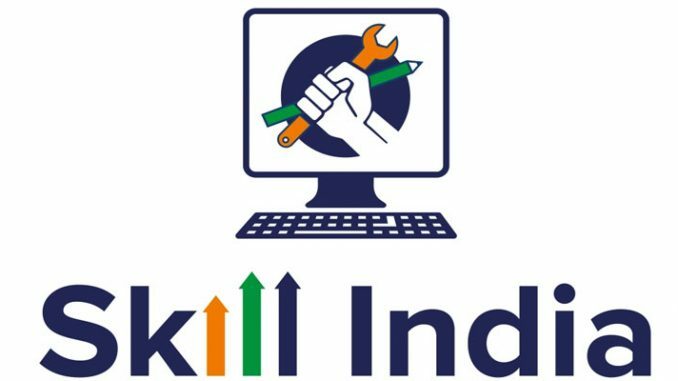 To achieve this dream, the government has taken up skill development initiatives under the slogan of Kaushal Bharat, Kushal Bharat. It has also launched such programmes as Make in India, Skill India Mission, Startup India, Stand up India and Digital India. These initiatives are aimed at bridging the gap and to transform the mindset of the youth from one of job-seeker to job provider. The Make-in-India campaign needs to be finetuned. Create-in-India might be a better mantra. Digital India envisages a new phase in transforming the largest democracy into a stronger democracy. Indeed, digital connectivity creates a level playing field for all citizens. Irrespective of demographic and socioeconomic strata, Indians today are increasingly savvy thanks to the evolution of internet and mobile phones. The Digital India programme provides for digital literacy, digital resource, and collaborative digital platforms. The gap between rich and poor shows no sign of narrowing. The richest one per cent stake claim to 60 per cent of the country’s total wealth, and the 50 per cent in the lowest rung collectively own only 2 per cent of the national wealth. Indeed, we live in two India ~ the country of glitter and privilege and the country of despair, rage and grinding poverty. As the former Vice-President, Hamid Ansari, said: “Inequality is the No. One risk The rising inequality is seen as a contributing cause for the rise of authoritarian leaders, often with a divisive agenda fuelled by the sectarianism, xenophobia and nationalism. The basic culture of India is agriculture.” Most worryingly, rising inequality results in conflict, and threatens the stability of democracies. Indian farmers once enjoyed a certain status in society, but today they are trapped in a vicious cycle of poverty because, as macro and micro data reveal, their earnings barely cover the costs of cultivation. A 2016 report by NITI Aayog states that around 53 per cent of farmers live below the poverty line. Indebtedness and inability to repay loans have driven many farmers to commit suicide. The latest data furnished by the National Crime Records Bureau indicates that in 2015, a total of 12,602 people in the farming sector committed suicide. This comes to one suicide every hour that year. Indian farmers are betrayed by politicians, ignored by bureaucrats, exploited by intermediaries and shunned by the elite. The Swaminathan Committee has reported that about 40 per cent of the country’s farmers are eager to switch over from agriculture to “non-farm activities”. The Green Revolution had made India self-sufficient in foodgrain. It is one of the leading exporters of wheat. In 2012- 13, India exported 6.5 million tones of wheat and in 2013-14, wheat production was a record 95.8 million tonnes. But the country has one of the lowest per capita daily supply of calories, protein and fat, according to the Organisation for Economic Co-operation and Development (OECD). This is lower than even South Africa, Brazil and Indonesia. A large segment of the population is under-nourished despite high production. Indeed, more than one-fifth of the nation lives in a state of semi-starvation. At least another one-fifth suffers from acute malnutrition. The wrong model of development has suppressed both growth and jobs, and has denied the poor an opportunity to rise above the poverty line. The central component of this model is to condone the loot of natural resources by corporations. And this includes the common property of the people such as water, forests, mountains, and coastlines. The loot is carried out with the active connivance of the government which acquires land in the name of ‘public purpose’. As a result, we have produced a strange spectacle of the number of dollar billionaires growing phenomenally side by side with inhuman poverty. Both have been nurtured by corruption to help corporations which in turn compensate the parties and politicians. The most damning indictment of Indian socialism is that at the end of the day there is very little for the poor.